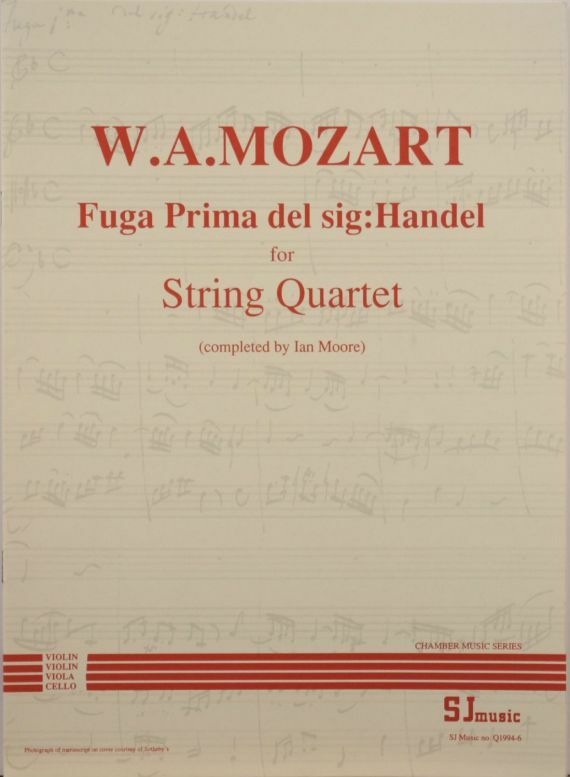 This short string quartet, an arrangement of Handel’s Allegro from his second suite of 1720, is simple and pleasant to play. The manuscript of just 20 bars is attributed to Mozart because of letters he wrote to his father and sister about it in 1782. Ian Moore completed the piece in 1994. The manuscript was unknown until it was sold in the USA in 1989. The present owner, Gerry Byrne, acquired it in 1994, and was very helpful to the publisher in preparing this edition.